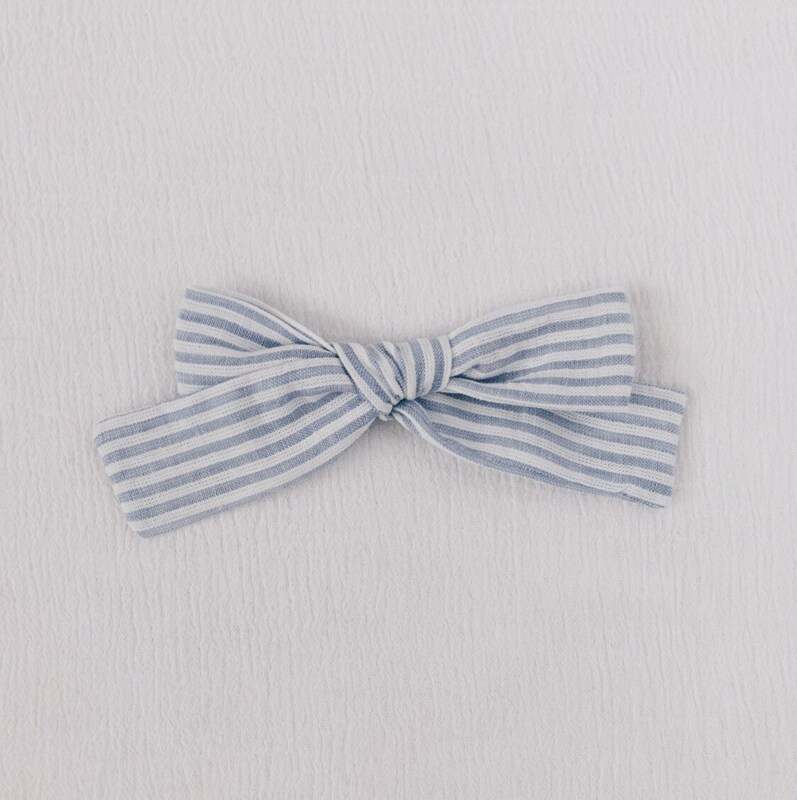 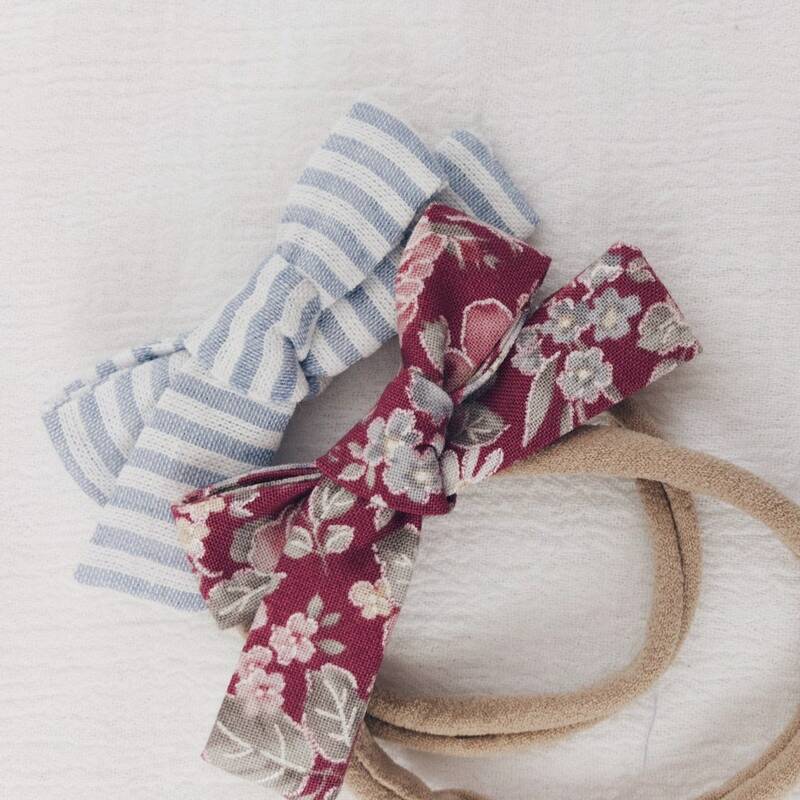 These two cotton bows are the perfect accessory to bring some color to the mid-winter rut! 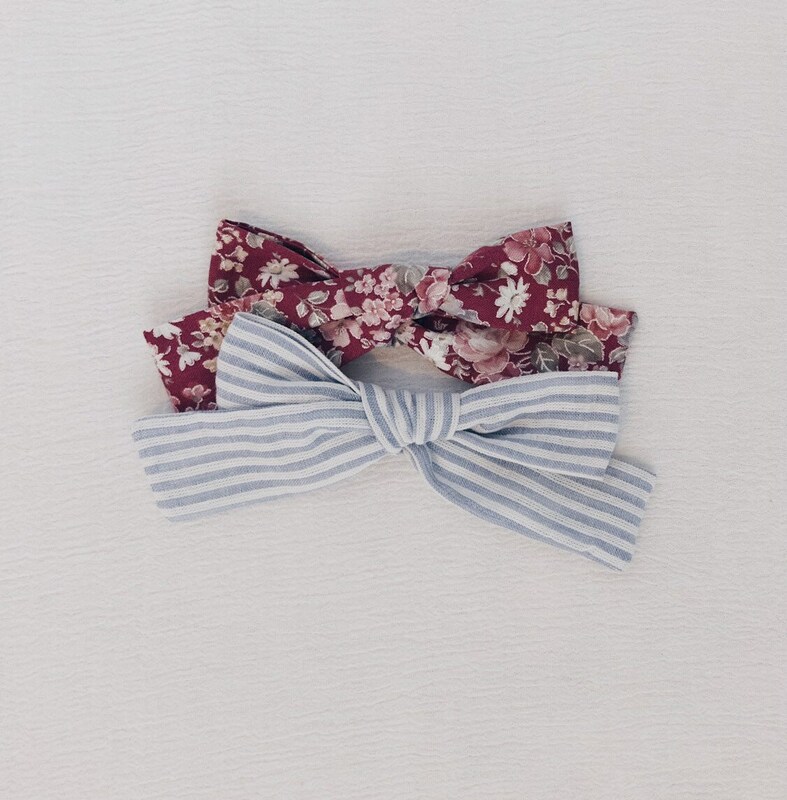 Grab the pretty cranberry floral or baby blue stripes or BOTH! 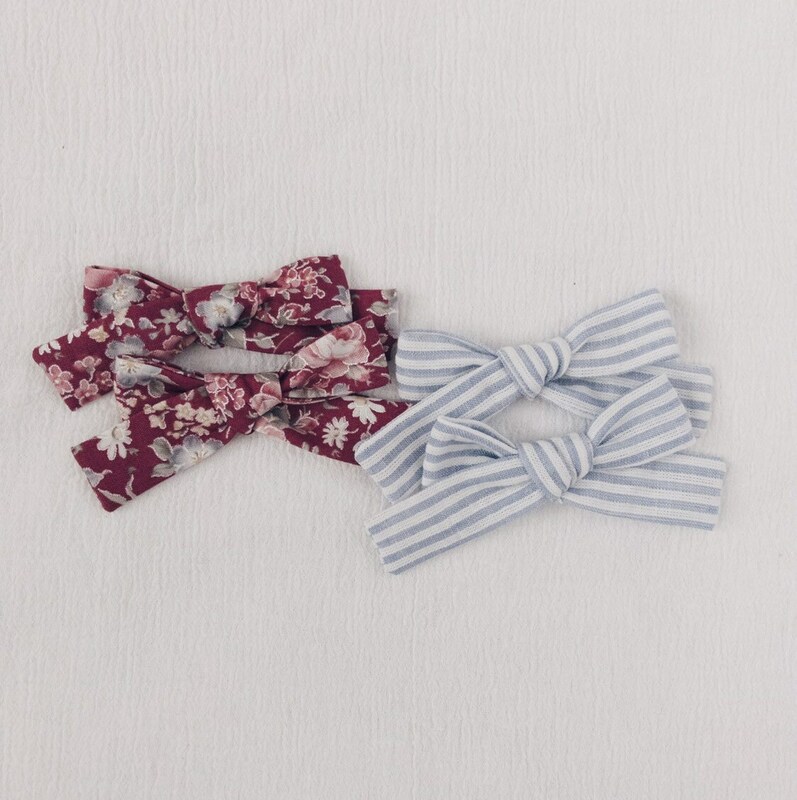 These two bow prints are available in 3 different sizes. 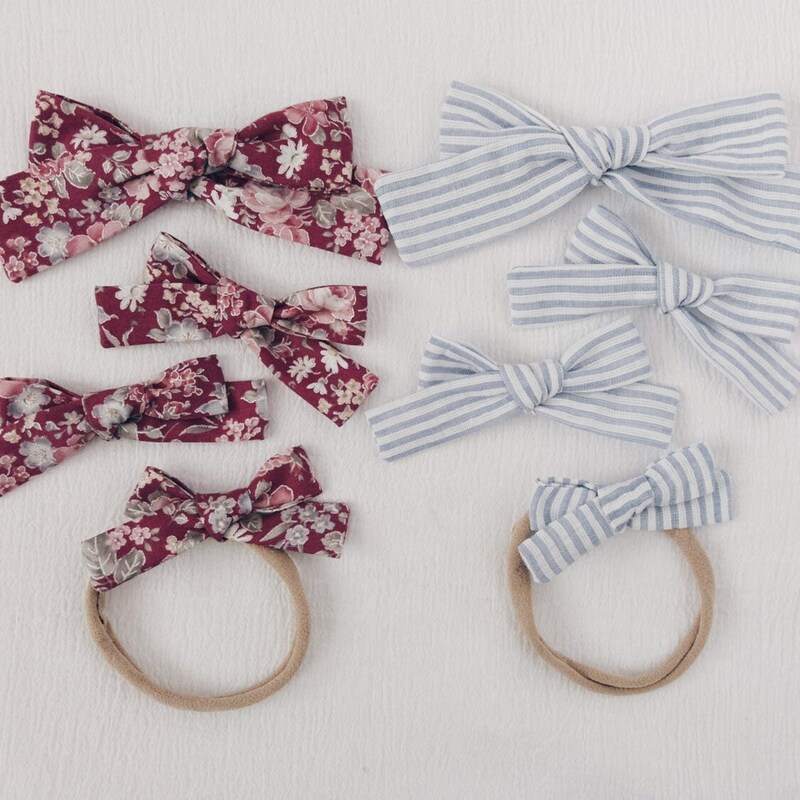 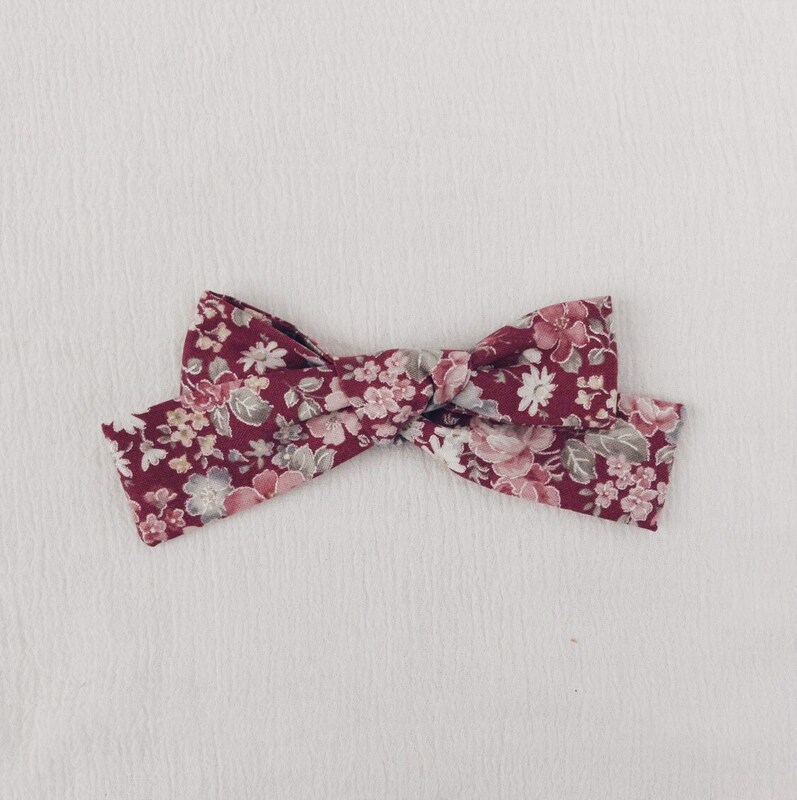 The Large bow is available on a headband or clip. 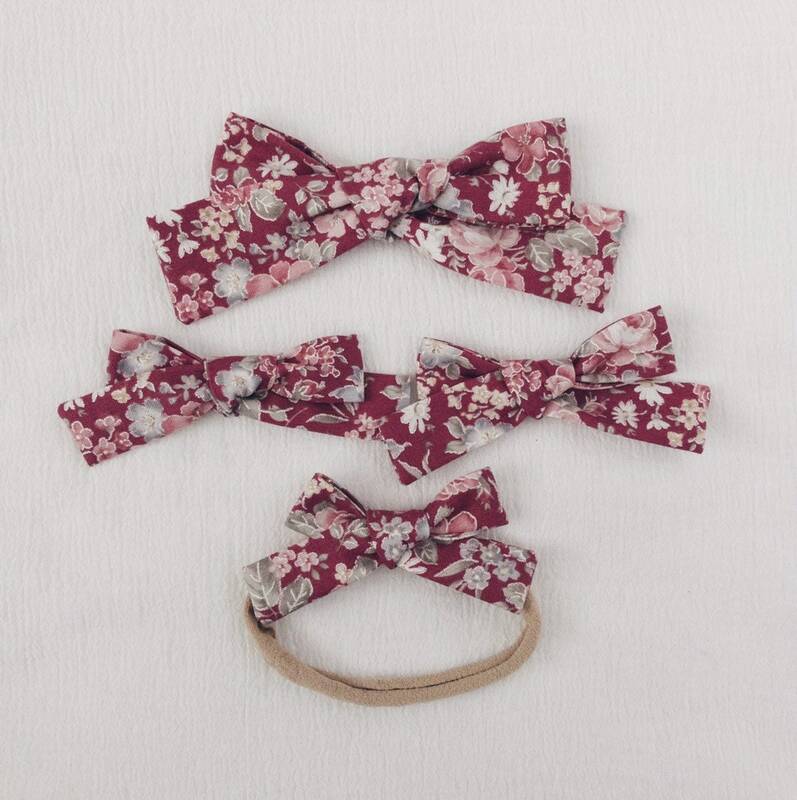 The Midsize is only available on hair clips and are being sold as a pair for pig tails. 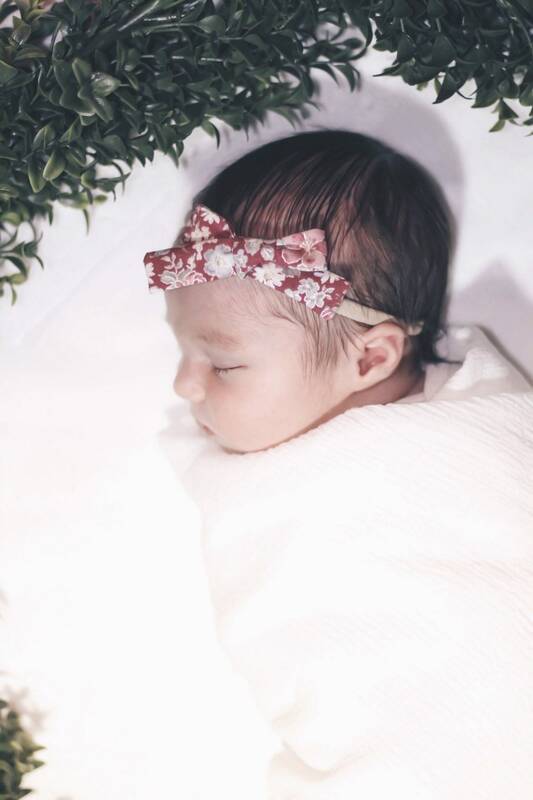 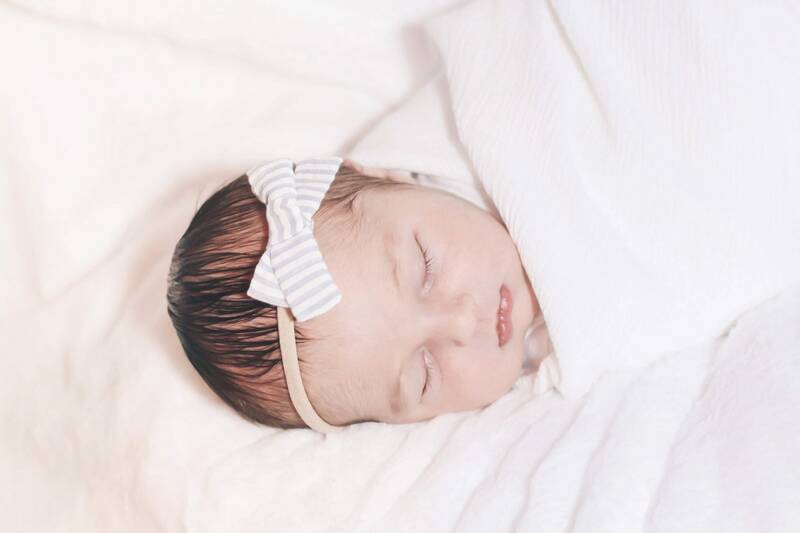 The Mini is only available on headband for newborns.